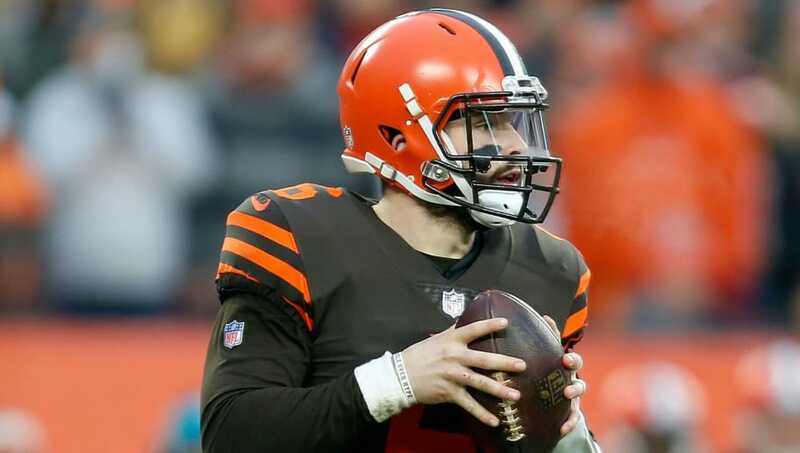 ​Not only is Baker Mayfield turning heads because of his overall play, but he's making headlines for ​what he's said and what he did last week when he ​stared down his former head coach Hue Jackson, who is now on the Cincinnati Bengals' coaching staff. You're welcome to not like it and think Baker should've handled it differently, but do we really think this is a big deal? I don't blame Hue Jackson for taking a job immediately after being fired (which is the key word), but I can see where Mayfield is coming from. Your head coach is let go and he immediately latches on with a division rival. That's not something you see very often, if at all. And not only that, he called out the Browns players on his way out. The Baker thing with Hue isnt even private, like some of the other things. Hue jumped on ESPN after getting fired and said the players weren't good enough to win... then they started winning. I'd stare down a coach that said some nonsense like that, too. If you haven't noticed in college and now in the NFL, Baker plays with a chip on his shoulder. He's always been underestimated and it's not like everyone thought him going No. 1 overall was a good decision. He's proving people wrong, including Jackson, and in the heat of the moment, he wanted to let him know he's a bad dude by staring him down. He didn't do anything inappropriate. He just intently stared him down. Everyone should just relax. He's about to break the rookie passing TD record, despite starting only 12 games. He was disrespected, by name, on national television by that same coach... a guy who used to be his coach. Again, this is nonsense. He started him down. Not flipped him off, not took a swing. One thing that Baker has done through this whole thing is make Hue Jackson a sympathetic figure, even though he was a terrible head coach. The Browns have been better since Jackson was let go, including Mayfield, so it's clear Jackson was holding the team back. Let's not pretend that Jackson was the biggest Baker fan to begin with, either. He kept starting Tyrod Taylor until he got injured. Mayfield is cocky and a bit brash, but he's honest and that's his personality (which we all say we want), so it'd be best if we accepted it.